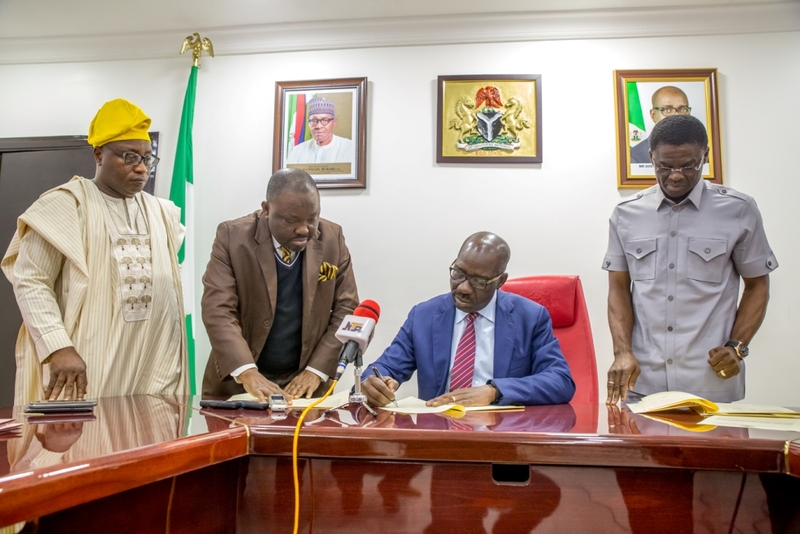 Governor Godwin Obaseki of Edo State has revealed that plans are already in place to manage traffic more effectively within the state and to develop a masterplan to reorganise transportation in not only Benin City, but also the entire Edo as a state. This was as he also revealed that a transportation expert had already been hired for this purpose and that traffic managers are already been recruited through the ‘Edo Jobs’ programme. He said, “We have hired a specialist with a lot of experience to reorganise the Edo Transport Management Agency. It will be part of the Edo Jobs scheme. We will be recruiting traffic officers, but we will screen them very carefully and train them in a government facility we have set up”. A statement by the Chief Press Secretary, Mr. John Mayaki said that the training would be rigorous, after which the traffic officers would be deployed to the streets to begin to organise and control traffic. On how traffic offenders would be dealt with, Governor Obaseki revealed that the government was making plans with the judiciary to deliver swift judgement to traffic offenders. “We will have mobile courts and some magistrate courts designated for prosecuting traffic offenders. From the measures we have put in place, once we roll out the process this month, we should be able to put a halt to the traffic menace in the state”, he said. The governor, however, revealed that that was a short-term fix to the problem of transportation in the state and that the government was working on a long-term plan. In his words, “We have people who are already working on trying to develop a masterplan for transportation in the city and eventually in the state. There is no transport masterplan. “We now have people in the field doing a lot of work to get us data, so that we can have a plan of how to organise traffic and work with the various transportation stakeholders, including bus unions and tricycle unions and everyone who is of interest in transport in the state”. He also expressed hope that the state government could work with the World Bank to get financing for reorganising the transport system and getting traffic to flow smoothly in the state. I RESIDE IN NEW BENIN IN OREDO LOCAL GOVT AREA,PLS WERE WILL I GO TO REGISTER FOR THIS EDO JOBS PROGRAMME,PLS I NEED YOUR ASSISTANCE THANK YOU.